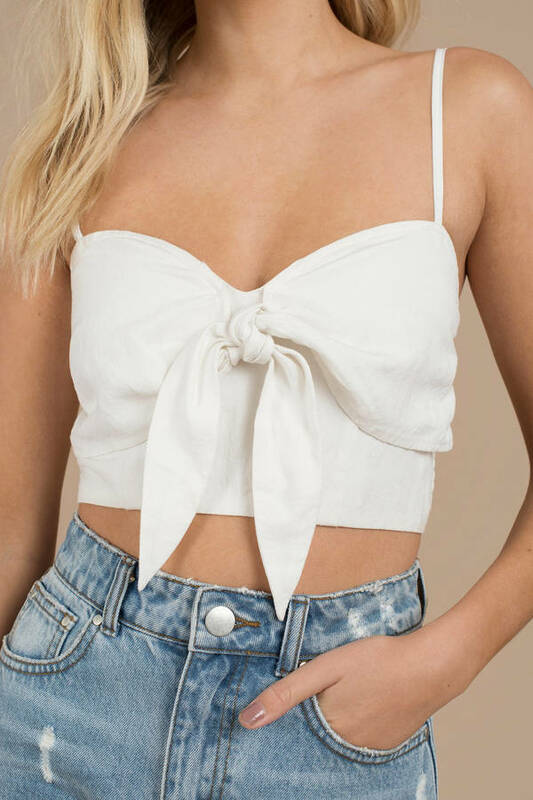 Check out Tobi's Sloane Tie Crop Top We just can't get enough of the Sloane Tie Crop Top! Featuring a front tie, a shirred back panel, and adjustable straps on a lightweight linen weave. 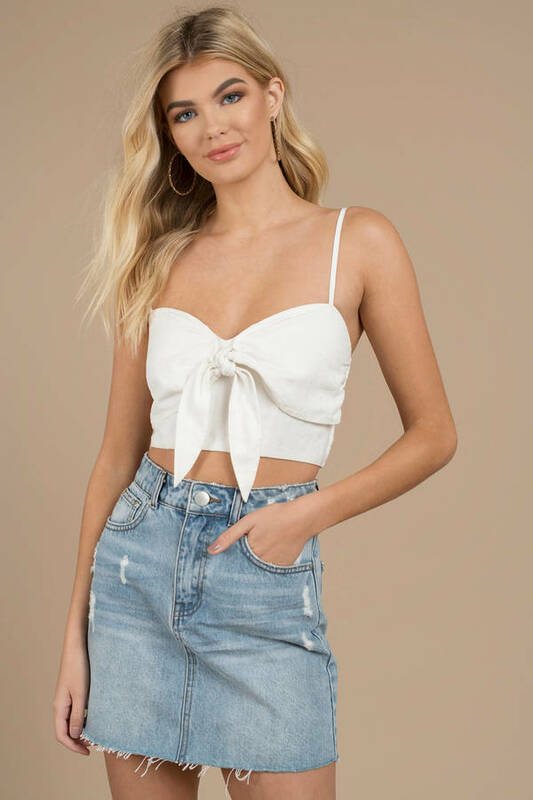 We just can't get enough of the Sloane Tie Crop Top! Featuring a front tie, a shirred back panel, and adjustable straps on a lightweight linen weave. 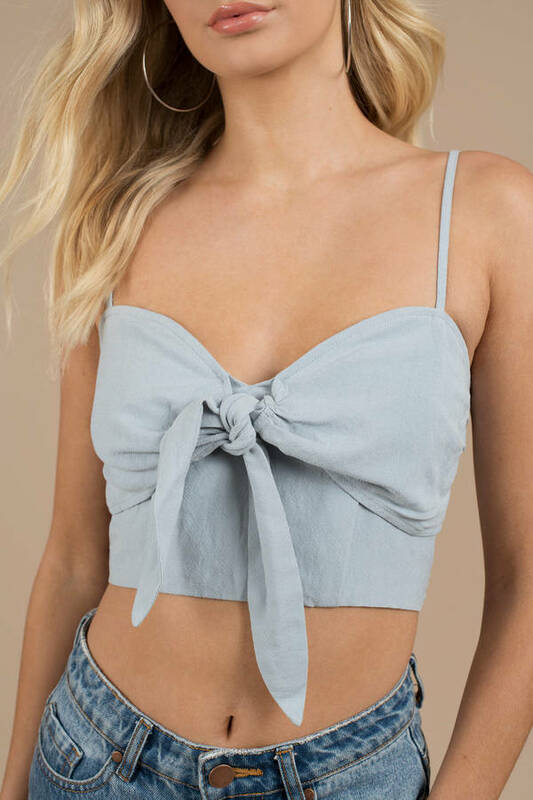 Light Blue, White modeled on a size Small.